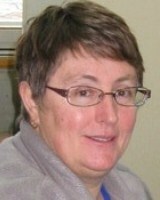 Sue Hinton is currently the Extension leader in the Vegetable Centre, at the Tasmanian Institute of Agriculture. Sue has worked as an Agronomist since the completion of a Bachelor of Applied Science in Horticultural Technology in 1982. Her first years as an agronomist were in Toowoomba servicing clients in the Darling Downs and Lockyer Valley area. She moved to Tasmania in 1986 and has actively worked within the agricultural communities in many regions of the State since then. Sue has a strong connection with vegetable production and extractive crops including poppies, essential oils and pyrethrum. Sue has been involved in research, development and extension in these industries. Sue has worked on weed management strategies in poppies and essential oil crops, including research to enable a number of minor use permits to be gained for use in weed management in essential oil crops. Sue is a member of the Tasmanian Weed Society (TWS). She has served on the executive for 17 of the last 20 years and is currently the president of the TWS.